Hillary Clinton and the Wall Street Democrats Strike Back Against Bernie! The Wall Street Democratic National Committee (DNC), arch supporters of the presidential candidate of Wall Street, Hillary Rodham Clinton, want us to believe their lie that automation killed US manufacturing and created greater income and wealth inequality over the last thirty-five years. They don’t want us to believe US corporations have exported millions of jobs because of Bill Clinton’s trade treaties like NAFTA. Hillary, being a good Wall Street pawn, supported income redistribution scams like Nafta and the Trans Pacific Partnership. These Wall Street DNC folks even have people trolling the web looking for stories with Hillary Clinton tags showing automation did not kill millions upon millions of manufacturing jobs, and that they’ve been instead exported to China, Vietnam, Mexico and elsewhere. Trade treaties are the primary cause of the growth in income and wealth inequality in the United States and throughout the world. This is a no-brainer: When jobs are exported the difference between the old higher US wages and benefits and the new lower Mexican, Chinese and Vietnamese wages go into the already fat wallets of the super rich via higher corporate profits, surging dividends, and soaring share prices. So yes, since Hillary supports trade treaties, she also clearly supports redistributing income from the 99 to the 1 percent. So Hillary wrote a new book that blames Bernie Sanders for her presidential defeat to Donald Trump, and her trolls are roaming around the Internet advancing her cause with lies, half-truths, and distortions. This suggests Hillary may be getting ready for another run at the presidency. It also suggests the Wall Street Democratic National Committee is behind her possible candidacy. In 2020, she’ll be the wrong candidate at the wrong time for 99 percent of the people of this nation. We’re heading into an already overdue recession that should be worse than the last one in many respects. Unemployment, for example, will likely be higher than last time. We need a champion of the people, such as Bernie Sanders, Sherrod Brown, Jeff Merkley, or Elizabeth Warren. The last thing the people of the United States will need in 2020 is another brown-nosing Wall Street pawn in the White House. 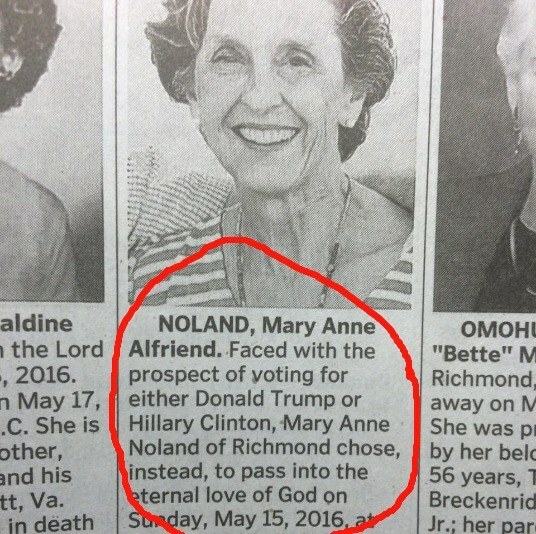 On May 17 2016 the Richmond Times Dispatch posted the above obituary. No doubt these were the sentiments of Mary Noland and her family. We have Hillary Clinton on one side. She was for the massive income redistribution scam known as the Trans-Pacific Partnership (TPP) and for fracking. We know from leaked emails she told Wall Street executives she was for “free trade and open borders.” Those are code words for accelerated exporting of jobs and pushing US wages lower. Then Bernie Sanders entered the Democratic primary. Since then Hillary has said she’s against the TPP and fracking, but she has already stacked the deck in favor of Wall Street, the TPP and fracking, and she’s not even president yet. Everybody opposed to fracking and the TPP should be alarmed at the choices she’s making, and her sincerity should be seriously questioned, especially since she has lied many times before. She chose Tim Kaine to be her running mate. Kaine voiced support for the TPP two days before Hillary chose him. Now he claims he’s against it. And now she has named former Colorado Democratic Senator and Interior Secretary Ken Salazar to be the chair of her presidential transition team — the group tasked with helping set up the new administration should she win in November. That includes identifying, selecting, and vetting candidates for over 4,000 presidential appointments. Wall Street and other corporate CEO’s are drooling at her two choices. Kaine and Salazar demonstrate a complete lack of sincerity in her opposition to the TPP and fracking. If she is elected president, expect her to push the TPP and redistribute massive amounts of income from the 99 to the 1 percent, especially by exporting jobs. Now if she wanted to represent the people of the US, and not just the super rich ones, Clinton would chose Joseph Stiglitz as Treasury Secretary. That would alleviate some anxiety on the part of labor union members and leaders about her sincerity, but that’s not going to happen. Then we’ve got Donald Trump. He says and does anything like he’s a contestant on a reality television show. He’s got zero political experience. He’s gone bankrupt on four occasions. He’s got two feet that must be terribly swollen because of all the times he’s stuck them in his mouth in just the last twelve months. The Republican Establishment is against him, as are the Koch Brothers. The corporate media is also against him. My girlfriend is from Iran. Her brother lives there. He says the people of Iran are laughing at us because of our presidential choices. No doubt much of the rest of the world is also. Is this the best we’ve got? Where have you gone Harry Truman? We need you. Where is an Eisenhower? A JFK? We sorely miss you Franklin Roosevelt! We miss you too Jimmy Carter! I’d give anything to have Gerald Ford or Bob Dole running for president in 2016! Even Lyndon Johnson of the Vietnam quagmire, Ronald Reagan of numerous scandals, and Richard Nixon of Watergate are preferable to the choices we have today. Are you listening Elizabeth Warren, Sharrod Brown or Jeff Merkley? Bernie! Can you still run as an independent? Click here for Mary Noland’s obituary in the Richmond Times-Dispatch. The Rigged Game: What Does Fast Track Legislation and the Trans-Pacific Partnership Have to Do With All of This? How Much Do US Corporations Pay in Taxes? How Much Will Bank of America Pay in Taxes in 2016 On Profits Of Over $4 Billion If Fast Track is Approved? There is a simple reason major US corporations have one of the highest tax rates in the world, and yet, they often pay no taxes, and they often receive billions of dollars in tax rebates from the government on taxes they never paid, as in the case of Bank of America in 2013. 1. By having a large tax rate on paper, the US media propaganda machine, representatives of US corporations, their lobbyists, and their US politicians can argue US corporations have the largest tax liability in the world, and then they will manipulate this lie to generate public support for changes to the corporate tax laws to lower their tax liabilities, which means US corporations will then receive larger tax rebates on taxes they never paid in the future. 2. US corporations enhance their profits with the rebates, which redistributes income from tax payers, i.e. the 99 percent, to the 1 percent. The 99 percent receive less government services by this redistribution, and the 1 percent receive more income. Taxes, coincidentally, are higher on working folks because somebody has to make up the difference between what the government should have in tax revenues, and what the government gives out in tax rebates to the rich. It should be pointed out that any tax rebates on taxes that aren’t even paid is called welfare for the 99 percent, and tax rebates for the 1 percent. 3. The importance of the rebates are massive for publicly traded limited liability corporations, such as Bank of America. The rebate in 2013 increased the bank’s profits by almost 50 percent. That fueled profits to the tune of $1.9 billion in this case, which provided enhanced dividends, as well as surging stock prices to shareholders, and bonuses to important bank officers. 4. Much of those profits, whether actual profits ($4.4 billion), or tax rebates ($1.9 billion), provides more money for Bank of America to purchase politicians of both major political parties, which fuels legislation that further redistributes income from the 99 to the 1 percent, which will then provide more tax rebates at your expense to Bank of America. 5. Fast Track is a current case in point. Fast Track is legislation pending in congress that will turn over congressional international trade authority to the president of the United States, which is something congressional Wall Street Republicans want to do despite their campaign against President Obama’s imperial presidency, which is, coincidentally, something the Republicans have allowed the presidency to become. That’s because the Wall Street wing of the Republican Party (Orrin Hatch, Mitch McConnell, Paul Ryan, John Boehner, etc….) and the Wall Street wing of the Democratic Party (Ron Wyden, Nancy Pelosi, Barack Obama, etc…) are allies when it comes to working on behalf of Wall Street, and against the interests of the American people. 6. Fast Track will limit debate, not allow for any amendments to the looming international income and political redistribution agreement called the Trans-Pacific Partnership (TPP), and will not allow any filibuster of this income redistribution scam in the senate. In that way, the public will have less time to be informed of the scheme in congress, and it can pass with 50 votes in the senate, since no filibuster will be allowed, and in case of a tie, Vice President Joe Biden will make the decisive vote in favor of TPP. In other words, senators like Bernie Sanders, Elizabeth Warren, Jeff Merkley, Sharrod Brown, David Vitter etc…. will be unable to filibuster the TPP. * TPP will give incentives for US corporations to export millions of US jobs. The Federal Reserve estimates that 28 million US jobs were exported between 1990 and 2010. * TPP will increase US income and wealth inequality. The 1 percent have already taken 95 percent of all income growth in the United States since 2009. Currently, the 1 percent are stealing 36+ percent of all income produced in the USA, compared to only 8 percent in 1980. International trade scams and other federal legislation have brought inequality about. For example, when the above jobs were exported, the difference between the old higher US wages and the new lower wages will go straight into the pockets of the 1 percent via higher corporate profits, rising dividends and surging share prices. * TPP will block financial regulations aimed at preventing the next financial crisis (which will make it easier for Wall Street to redistribute your income and wealth to the 1 percent). Bank of America Stands to Gain From This. The bank will be able to steal more money from you with less regulations, which will increase its profits, dividends and share prices, not to mention CEO bonuses. Bank of America is also spending millions of dollars on lobbyists in support of Fast Track and TPP. In other words, the TPP has almost nothing to do with trade. It’s about taking away your money, your voting rights, and giving them to the 1 percent. TPP, in other words, is designed to put more of your money in the hands of the 1 percent, and this money will be used to corrupt government even more while impoverishing you, and redistributing your future and the future of your children to the 1 percent. You can rest assured, if Fast Track passes, and the TPP passes with it, profits, as well as the tax rebates Bank of America receives, will become greater, and at your expense. US Senator Sharrod Brown serves on the Senate Banking Committee with Warren. He backed her request in a statement of his own. “These allegations deserve a full and thorough investigation, and American taxpayers deserve regulators who will fight each day on their behalf,” the Ohio senator and frequent financial industry critic said. 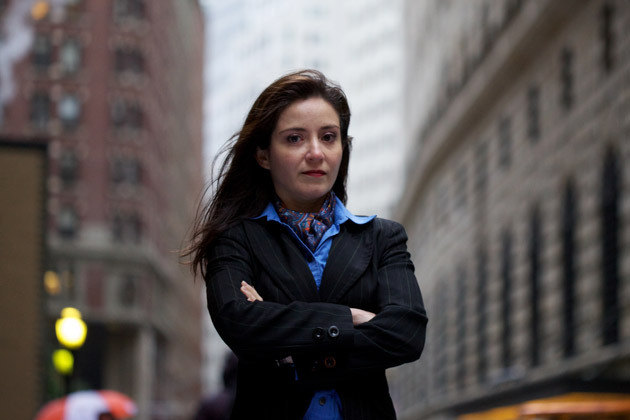 Carmen Segarra, fired by the New York Federal Reserve for doing her job. 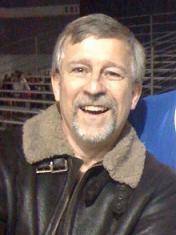 Carmen Segarra is the whistle blower in question. The former bank examiner jumped into public consciousness earlier this month when she filed a wrongful termination lawsuit alleging that the Federal Reserve Bank of New York fired her after she refused to go soft on investment banking behemoth Goldman Sachs. 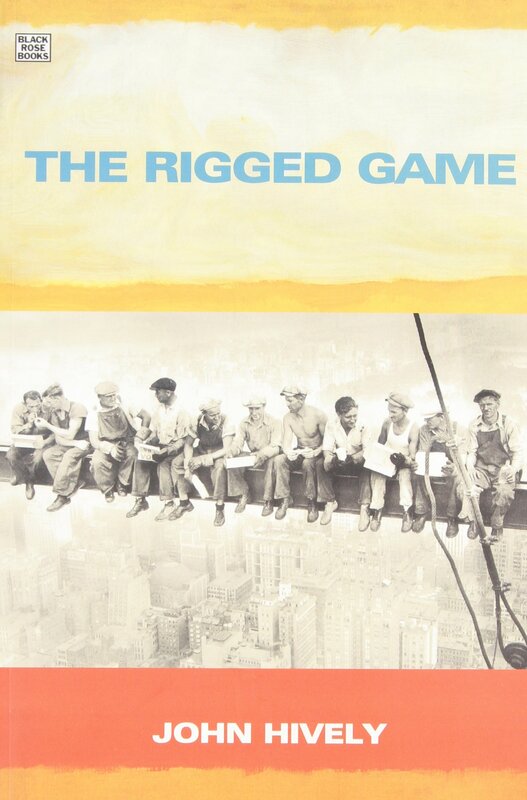 Regulatory capture is just one example of the many abstract cultural forces on Wall Street that create an environment where financial misdeeds can flourish, imperiling the real economy that employs everyone else in the business of making and selling goods and services. Surveys of industry insiders have repeatedly found worrying evidence of ethical lapses among people in the financial business, including outright disregard for the law. A quarter of those surveyed in 2013 said that they would knowingly break the law for financial gain. That number jumped to 38 percent for respondents who have worked in finance for less than a decade. The same survey also found that women are twice as likely to fear retaliation for whistle blowing as men. Most government regulations of Wall Street are to keep things honest, which you can’t expect Wall Street to do. The result of Wall Street investment bank transgressions in both the short and long term are typically income redistribution from the 99 to the 0.01 percent. What Would Happen if Non-Corporate Democrats Were Stacked on the Senate Finance Committee Rather Than Wall Street Toadies Like Ron Wyden?